Written for his kids and fun to read. 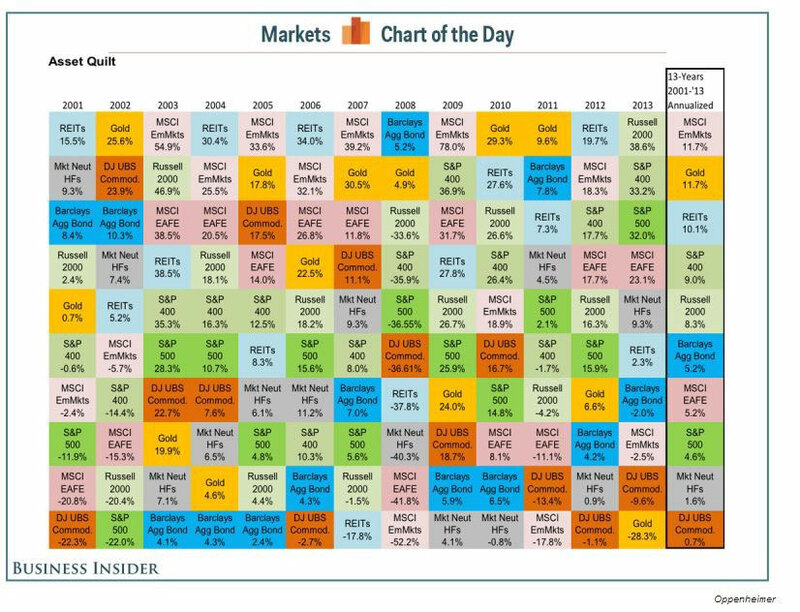 Hidden in the simplicity is a simple truth of how to systematically outperform the market. Buy good businesses add a cheap price offered by a short term irrational Mr. Market. Mr. Market is sometimes irrational in the short term but finds the right price in the long run. "Choosing individual stocks without any idea of what you are looking for is like running through a dynamite factory with a burning match. You may live, but you are still an idiot." Towards the end of the question-and-answer period someone asked you about the power of the system and how to change it. You said it’s a very weak system. It looks powerful but could easily be changed.” Where do you see the weaknesses? · People don’t like the system as mentioned earlier, 95% of Americans think corporations should lower their profits to benefit their workers and the communities they do business in, 70% think businesses have too much power and more than 80% think working people don’t have enough to say in what goes on, that economic system is inherently unfair, and that government basically isn’t functioning, because it’s working for the rich. · Corporations – the major power system in the West – are chartered by states, and legal mechanisms exists to take away their charters and place them under worker or community control. That would require a democratically organized public, and it hasn’t been done for a century. But the rights of corporations were mostly given to them by courts and lawyers, not by legislation, and that power system could erode very quickly. Of course, the system once in place, cannot simply be dismantled by legal tinkering. 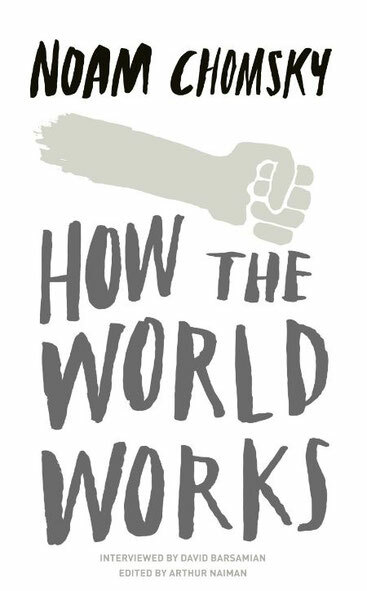 Alternatives have to be constructed within the existing economy, and within the minds of working people and communities. The questions that arise go to the core of socioeconomic organization, the nature of decision making and control, and the fundamentals of human rights. They are far from trivial. · Since government is to some extent under public control – at least potentially – it can also be modified. · About two-thirds of all financial transactions in the globalized economy take place in areas dominated by the US, Japan and Germany. These are all areas where - in principle, at least – mechanics already exist that allow the public to control what happens. People need organizations and movements to gravitate to. If people become aware of constructive alternatives with even the beginning of mechanisms to realize those alternatives, positive change could have a lot of support. The current tendencies, many which are pretty harmful, don’t seem to be all that substantial, and there’s nothing inevitable about them. That doesn’t mean constructive change will happen, but the opportunity for it is definitely there. Speaking the truth to the power makes no sense. There’s no point in speaking the truth to Henry Kissinger- he knows it already. Instead speak the truth to the powerless – or better, with the powerless. Then they’ll act to dismantle illegitimate power. A Canadian journal called Outlook ran an article on the talk you gave in Vancouver. It concluded with quotes from people leaving the hall: Well, he certainly left me depressed. And: I’m more upset than I was before I came. And on and on. Is there a way to change that? I’ve heard that a lot, and I understand why. I fell that it’s none of my business to tell people what they ought to do- that’s for them to figure out. I don’t even know what I ought to do. So I just try to describe as best I can what I think is happening. When you look at that, it’s not very pretty, and if you extrapolate it into the future, it’s very ugly. But the point is – and it’s my fault if I don’t make this clear – it’s not inevitable. The future can be changed. But we can’t change things unless we begin to understand them. We’ve had plenty of successes; they’re cumulative, and they lead us to new peaks to climb. We've also had plenty of failures. Nobody ever said it was going to be easy. Great book ultimately about how Jorge Paulo Lemann, Marcel Telles and Beto Sicupira achieved their success in growing companies. I only list the key commandments, their management style was influenced by Goldman Sachs, GE and Walmart. A big and challenging dream makes everyone row in the same direction. A company's biggest asset is good people working as a team, growing in proportion to their talent, and being recognized for that. Employee compensation has to be aligned with shareholders'interests. Profits are what attracts investors, people, and opportunities, and keep the wheels spinning. Focus is the essence. It's impossible to be excellent in everything, so concentrate on the few things that really matter. Everything has to have an owner with authority and accountability. Debate is good, but in the end, someone has to decide. Common sense is as good as fancy concepts. Simple is better than complicated. Transparency and information flow ease decision-making and minimize conflicts. Hiring people who are better than yourself, training them, challenging them, and retaining them is the main attribution of a manager. Luck is always a function of sweat. Work hard, but with joy. Things happen in the business' operations and in the market. You have to pound the pavement. Being paranoid about costs and expenses- the only variables under our control - helps ensure long term survival. Constant discontent, a sense of urgency, and zero complacency help ensure a sustainable competitive advantage. Innovations that add value are useful, but copying practices that already work is usually easier. Corporate and personal discretion are helpful. Showing off is only allowed when done with concrete objectives. Constant training and improvement have to be ongoing efforts and should permeate our routine. Trickery and cheating can rot a company from the inside. Ethics pay off on the long run. Our greatest strength is our people. Great people grow at the place of their talent and are rewarded accordingly. We recruit, develop, and retain people who can be better than ourselves. We will be judged by the quality of our teams. We are never completely satisfied with our results, which are the fuel of our company. Focus and zero complacency guarantee lasting competitive advantage. The consumer is the Boss. We serve our consumer by offering brand experience that play a meaningful role in their lives, and always in a responsible way. I personally like the concept to divide costs into strategic costs which support long term development vs. non strategic costs. Companies should focus on having lower non strategic costs than the competition and higher strategic costs making them stronger over time. A core aspect is setting goals which require a ca. 20% stretch in performance from everybody, highly rewarding the strong performers and firing the 10% worst performers. Focus on constant improvement and aligning individual goals with team goals, aligning team goals with corporate goals. Every page of the book is worth reading as it is kept to the essentials. o Resist the craving for false precision, false certainty, etc. In the end it comes down to Charlie’s most basic guiding principles, his fundamental philosophy of life: Preparation. Discipline. Patience. Decisiveness. Each attribute is in turn lost without the other, but together they form the dynamic critical mass for a cascading positive effects for which Munger is famous (the “lollapalooza”). Summary of Charles T. Munger’s psychology checklist taken from “Poor Charlie’s Almanack”. We should develop mental checklists for investing or at least go through them before important decisions. This one is highly relevant to life in general. 1) Reward and Punishment - Get the incentives right (Management consulting report this problem needs more management consulting). First action should always be to write down the incentives of everybody involved. If the equation does not workout change it. Incentives are despite being taught in each business school, often underestimated in real life. 2) Like Loving Tendency - like and love being liked, positive feedback bias towards the loved ones. Ignore faults of and comply with wishes of, the object of affection, to favour people, products and actions merely associated with the object of affection, to distorts other facts to facilitated love. 3) Dislike Hating Tendency - Often used in politics to “channel” the hatreds and disliking of individuals and groups into nonlethal patterns including elections. Politics is the art of marshalling hatreds. Often relevant on family level (property law). 4) Doubt-Avoidance Tendency - The brain of man is programmed with a tendency to quickly remove doubt by reaching a decision. Which is often supported by puzzlement and stress (used as well in religion). 5) Inconsistent Avoiding Tendency - Easy to prevent habits than to avoid them. It’s difficult for us to change something which we already programmed into our brain. “An ounce of prevention is worth a pound of cure”. Developing good habits and avoid the bad ones from the beginning. 6) Curiosity Tendency- Curiosity can be strong motivation and lead to better performance, education needs to embrace this. 7) Kantian Fairness Tendency – Human have a natural understanding for fairness, sort of “golden rule” everybody is aware of according to Kant. 9) Reciprocation Tendency - Small courtesy, car sales man cup of coffee for $500 extra dollars, ask for a small favor to gain relationship advantage. 10)Influence –from-Mere-Association Tendency- Associate highest price with highest quality. Even trivial associations work, Coke ads of happy life, military bands play impressive music etc. Some of the most important miscalculations come from what is accidentally associated with one’s past success, or one’s liking and loving, or one’s disliking and hating, which includes a natural hatred for bad news. 11)Simple, Pain-Avoiding Psychological Denial - If something is painful to admit, an easy way is just too simply deny it. E.g. drug addicted often trick themselves. Stay away from any conduct at all like do drift into chemical dependency. 12)Excessive Self-Regard Tendency - We all commonly observe the excessive self-regard of man. He mostly misappraisals himself on the high side, like ninety percent of Swedish drives that judge themselves to be above average. Also once you own something you value it more also called “endowment effect”. Example is also the overinfluence by face-to-face impression for a job candidate who is a marvelous “presenter” often causes great danger under modern executive-search practice. 13)Overoptimism Tendency - “What a man wishes, that also will he believe”. Excess of optimism is standard approach for us even when we are already doing well. One antidote to foolish optimism is trained, habitual use of simple probability math of Fermat and Pascal. The mental rules of thumb that evolution gives us to deal with risk are not adequate. 14)Deprival-Superreaction Tendency - Man values overvalues not losing to gaining. Or if man almost get something he greatly wants and has it jerked away from him in the last moment, he will react much as if he had long owned the reward and had it jerked away. Man also often compare to what is near instead of what really matters. For instance a man with $10m in his brokerage account will often be extremely irritated by the accidental loss of $100 out of the $300 in his wallet. Am man ordinarily reacts with irrational intensity to even a small loss, or threated loss, of property, love friendship, dominated territory, opportunity, status, or any valued thing. As a natural result, bureaucratic infighting over the threatened loss of dominated territory often causes immense damage to an institution as a whole. This factor, among others accounts for much of the wisdom of Jack Welch’s long fight against bureaucratic ills at General Electric. 15)Social-Proof Tendency - Compliance behaviour and management errors result out of social proof tendencies, most easily triggered under puzzlement or stress, and particularly when both exist. Because both bad and good behaviour are made contagious by Social-Proof Tendency, it is highly important that human societies 1) stop any bad behaviour before it spreads and 2) Forster and display all good behaviour. If only one lesson is to be chosen this would be learn how to ignore the examples from others when they are wrong, because few things are more worth having. 16)Contrast Misreaction Tendency - The eyes contrast in what is seen registered. Moreover, as perception goes, so goes cognition. Few psychological tendencies do more damage. Small scale damages involve buying an overpriced $1000 leather dashboard merely because the price is so low compared to his concurrent purchase of a $65000 car. Large-scale damages often ruin lives, as when a wonderful woman having terrible parents marries a man who would be judged satisfactory only in comparison to her parents. Salesman deliberately shows the customer three awful houses at ridiculously high prices. Then he shows him a merely bad house at a price only moderately too high. And, boom the broker makes an easy sale. Other example, to make an ordinary price seem low, the vendor will advertise an ordinary price as reduction. Even when people know this sort of manipulation, it will often work to trigger buying. It also demonstrated that being aware of psychological ploys is not a perfect defense. 17)Stress Influence Tendency - More social confirmatory decision under stress. People might turn complete personality after break down (Palov experiments), every person can be broken. A break down can change a personality completely. 18)Availability- Misweighting Tendency - Theories and stories that can be easy remembered have a higher weight for us, and therefore are more likely to be seen as true. Good example for this in finance is the CAPM. 19)Use-It-Or-Lose-It-Tendency - Over time educations narrows down to the field in which knowledge is applied. One needs systematic checklist of skills and constant training of important theoretical frameworks to keep a general toolbox for solving problems, and don’t become the man with the hammer who treats every problem with the same solution. 21)Senescene-Misinfluence Tendency - Continues learning and practice will slow down aging of mental abilities. 22)Authority-Misinfluence Tendency - Higher authority can result in blind following of orders, reason for many catastrophes. Warren Buffet is always quite like a mouse around his pilots. 23)Twaddle Tendency – Tendency to focus on unimportant stuff. 24)Reason-Respecting Tendency - Why is the most important question for any task. Reason can lead to strong motivation but is often also misused to manipulate people. “Why?” is a sort of Rosetta stone opening up the major potentially of mental life. 25)Lollapalooza Tendency - Bringing pressure to bear form various psychological tendencies at the same time. Extreme consequences from confluences of psychological tendencies acting in favor of a particular outcome. One of the key reasons for the success of the Milgram experiment often not considered in psychological textbooks. This is best piece on investment I have been reading for a long time. “Indeed, the average result has to be the average result. By definition, everybody can’t beat the market. As I always say, the iron rule of life is that only 20% of people can be in the top fifth. That’s just the way it is. So the answer is that it’s partly efficient and partly inefficient. And, by the way, I have a name for people who went to extreme efficient market theory – which is “bonkers”. It was an intellectually consistent theory that enabled them to do pretty mathematics. So I understand its seductiveness to people with large mathematical gifts. I just had a difficulty in that the fundamental assumption did not tie properly to reality. Again, to the man with the hammer, every problem looks like a nail. If you’re good at manipulating higher mathematics in a consistent way, why not make an assumption which enables you to use your tool? The model I like–to sort of simplify the notion of what goes on in a market for common stocks – is the pari-mutuel system at the racetrack. If you stop to think about it, a pari-mutuel system is a market. Everybody goes there and bets and the odds change based on what’s bet. That’s what happens in the stock market. It’s not a bit easy of course, 50% will end up in the bottom half and 70% will end up in the bottom 70%. But some people will have an advantage. And its fairly low transaction cost operation, they will get better than average results in stock picking. It’s not given to human beings to have such a talent that they can just know everything about everything all the time. But it is given to human beings who work hard at it – who look and sift the world for mispriced be – that they occasionally find one. "By December 19, 2013, the people newly installed on top of Goldman Sach's stock market operations, Ron Mogan and Brian Levin wanted to change the way market worked. They truly believed that the market at the heat of the world's largest economy had grown to complex, and was likely to experience some catastrophic failure. But they also were trying to put an end to a game they could never win or control (high frequency trading). And so they'd flipped a switch, and set lots of their customer's stock market orders to IEX. When they did this they started a process that, if allowed to play out, would take billions from Wall Street and return it to investors. It would also create fairness. A big wall street bank was a complex environment. There were people inside Goldman Sachs less then pleased by what Levin and Morgan had done. And after December 19 the firm had retreated, just a little bit. It was hard even for Brad Katsuyama to know why. Was it changing its collective mind? Had it underestimated the cost of being a first mover. Was it too much to ask Goldman Sachs to look up from short-term profit and study the landscape down the road. It was possible that even Goldman Sachs did not know the answers to those questions. Whatever the answer, something Brian Levine had said still made a lot of sense. "There will be a lot of resistance" he'd said. "There will be a lot of resistance. Because a tremendous infrastructure has been built up around this." It’s worth performing Goldman Sachs-like costs benefit analysis of this infrastructure, from the point of view of the economy it is meant to serve. The benefit: Stock market prices adjust to new information a few milliseconds faster than they otherwise might. The costs make a longer list. 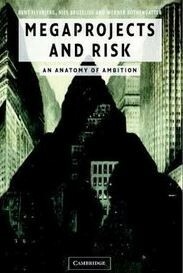 One obvious cost is the instability introduced into the system when its primary goal is no longer stability but speed. Another is the incalculable billions collected by financial intermediaries. That money is a tax on investment paid by for the economy; and more than productive enterprise must pay for capital, the less productive enterprises, there will be. Another costs, harder to measure was the influence of all this money exerted, not just on the political processes but on people's decisions about what to do with their lives. The more money to be made by gaming the financial markets -and create narratives to explain to themselves why a life spend gaming financial markets is a purposeful life. And then there is maybe the greatest costs of all: Once the very smart people paid huge sums of money to exploit the flaws in the financial system, the have the spectacularly destructive incentive to screw up the system even further, or to remain silent as they watch it being screwed up by others. 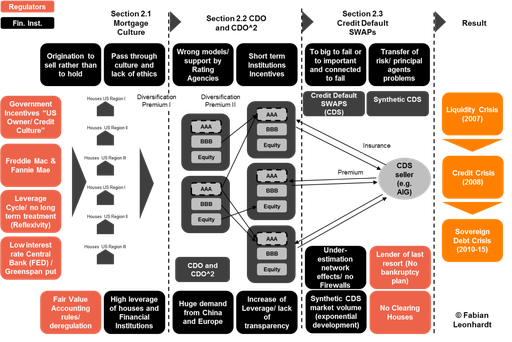 The costs, in the end, is a tangled-up financial system. Untangling it requires acts of commercial heroism- and even then the fix might not work. There was simply too much to easy money to be made by the elites if the system worked badly than it worked well. The whole culture had to want change. "We know how to cure this", as Brad had put it. "It's just a matter of whether the patient wants to be treated". Here the link to the new founded IEX stock exchange (Its story is captured in the book Flashboys) making life of high frequency traders a bit more difficult and reducing the hidden costs of the system for pension funds and other institutional investors. The necessity of talking the industrial world to its next stage of evolution is not a disaster – it is an amazing opportunity. How to seize the opportunity, how to bring into a world that is not only sustainable, functional, and equitable but also deeply desirable is a question of leadership and ethics and vision, courage, properties not computer models. To speak of them we – the authors – need a chapter break here. We need to turn off our computers, put away our data and scenarios and reappear in chapter 8, where we will conclude with insights that have come as much from our hearts and our intuition as the have come from our scientific analysis…." "It’s time to do some truth-telling on this issue. The world’s leaders do not know any better than anyone else how to bring about a sustainable society; most of them don’t even know it’s necessary to do so. A sustainability revolution requires each person to act as learning leader at some level, from family to community to nation to world. And it requires each of us to support leaders by allowing them to admit uncertainty, conduct honest experiments, and acknowledge mistakes. No one can be free to learn without patience and forgiveness. Finding the right balance between the apparent opposite urgency and patience, accountability, and forgiveness is a task that requires compassion, humility and, clearheadedness, honesty and that hardest of words, that seemingly scarcest of all resources-love." Herman E. Daly, former World Bank senior economist and Professor. School of Public Affairs University of Maryland. A core issue to understand is that ESG is a lot about limiting the downside risk. Statistical methods (higher moments) and analyzing annual reports does not help to capture unknown events. ESG could potentially help to quantify some of the intangible factors (the character of the company). I personally believe that we use to often heuristics as mental shortcuts in our thinking as shown by Daniel Kahneman (or pattern thinking, “How to Create a Mind”, Ray Kurzweil ). This results in undervaluing on average the impact of convex factors (because of convexity even less than average could still be a very successful strategy, see "Antifragile", Nassim Taleb), like climate change (or chain reactions, see “A Demon of our Own Design”, Richard Bookstaber ) and do not act on it in real life or price them correctly in the investment world. Therefore, investing into convex factors (some of them can be captured with ESG analysis) outperforms over time. The aim is to decrease the risk of government, taxpayers and private investors being led- or misled, as often turns out the case – repeatedly to commit billions of dollars to underperforming projects. Causes: more and bigger projects, lack of accountability in the decision making process, (“no skin in the game”), Promoters have actually been able to dodge risk and accountability. The tactical under-and overestimation of effects in the initial stages. Rent seeking behaviour and the associated ‘appraisal optimism’- are not in the interest of those whose money is put at risk, be the taxpayers or private investors. Nor are they in the interest of those concerned with environment, safety, democracy and the public interest. Cures: 1)Risk and the accountability should be more centrally placed in megaproject decision making than is currently the case. Not only just better and more rational information, but also the right checks and balances are required to ensure accountability. New methodologies for risk management such as the most likely development analysis (MLD), break-even and worst case scenarios should be combined with the mentioned accountability. 2) Governments often play various roles such as promoters, guardian of public interests, which results in a conflict of interest in which accountability suffers. Borderlines of public and private involvement should be redrawn, shifting the risk form the public to the private sector and establishing a substantial clearer role for governments by means of arm’s length principal and shifting government involvement from project to promotion to formulation and auditing of public-interest objectives to be met by megaprojects. There is little evidence that efficiency and democracy are trade-offs for megaproject decision making quite the opposite. nt and participation of the public sector. Against the convention argument that public participation slows down decision making and results into suboptimal decision making, mega projects that have tried to get by without publicness and participation have often into such heavy opposition that the decision making process were destabilised and second-best solution procedure and outcome forced upon actors and projects. ii) Performance specification: The use of performance specification implies goal-driven approach to megaproject decision making, instead of the conventional technical solution driven one. The use of a performance specification approach means that as far as possible, all requirements with respect to a possible project are to be decided before considering various technical alternatives for the project before appraising it. Focus on the ends rather than the means. Forces stakeholder into a constructive role, and undermines the creditability of criticism directed at megaprojects simply because they happen to be megaprojects. iii) Explicit formulation of regulatory regime, should be defined upfront as far as possible and will make governments carefully review issues and identify all costs before decisions are made. Furthermore, the choice of the regulatory regime will influence the risk of the project and both costs and risk should be central to any feasibility study and appraisals. Finally, if part of the financing of the project is to be mobilized (as proposed by the authors) from risk capital, this could only take place if the regulatory regime is set out, and risk which are of political nature are identified, and where relevant, as far as possible eliminated. iv) Involvement of risk capital, by requiring that a substantial commitment in the form of risk capital is made, the ordinary citizen will be required to carry no, or only limited risk. Involvement of risk capital will ensure a high degree of involvement by the lenders during the final design construction and operation of a project and more effectively monitoring. As a consequence, better cost control can be expected. The authors propose two alternative models for megaproject decision making. One based on the state-owned enterprise approach (SOE), the other on the build-operator transfer (BOT). Depending on the specific project one will be better than the other. Oxford Photovoltaics is an Oxford University spin-out company that is developing a low cost, sustainable transparent solar cell coating that can be printed on building glass. Less toxic than traditional solar cells, it can be used on the glass facades of commercial buildings to convert sunlight to electricity. 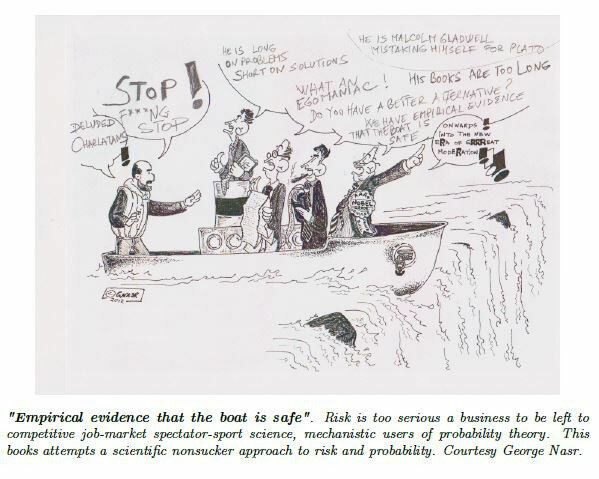 The cartoon on the front (see below) provides a good picture of what happens when you argue against the basic “gaussian” thinking of finance theory. Current portfolio theory is more and more moving towards risk parity strategies (which are putting risk at their heart including other risk factors than volatility) such as the one proposed by AQR Capital management. The best people in finance are actually often betting against the theories taught in universities (and are probably still thankful that universities keep teaching it). Warren Buffet sold a huge amount of long term put options after the financial crisis to gain liquidity investing into undervalued securities. Doing this he was actually making money out of human psychology (people overpay for insurance and lotteries as well) and betting against the Black Scholes pricing mechanism for options, which is not the heuristic traders use, but which is still a wrong anchor value (based on “Gaussian” thinking) for many derivatives. A key message I took away from Taleb is that more complexity does not help to find a good solution. Simple heuristics could do a better job. For example building a simple heuristic to detect convexity could be enough for many problems rather than trying to use complex forecast mechanisms. The knowledge that something is convex should offer enough information to handle a problem differently (think about population growth, climate change and technical process). You do not have to be the smartest guy in the room for successful investing. More important is being aware of your own stupidity and betting on the fact that a lot of “smart people” will get it wrong. 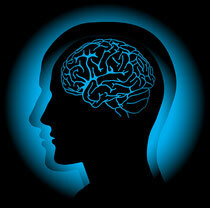 Ray Kurzweil's TED talks provides the main idea of his new book how to create a mind. Intersting to think about what his scenario would mean for investing. A question I have been discussing recently is where are we heading with the EU? Even if you are pro EU and agree with the general vision we need more debate on how the EU should look like and work in detail. We are moving into a world of more bureaucracy with anonymous decision makers without “skin in the game”. I believe, if you ask the majority of European citizens how the exact decision making in the EU works and how much their national political governments (for which they vote) are influenced by EU level (for which most of them do not bother to vote) they will have a wrong picture of it. Is this a democratic system? An interesting way forward could be a more federal system with a creditable government at EU level. This would go in line with strengthening the EU parliament and increasing the government’s responsibility for actions. Furthermore, a good lesson from the US is that you can let states go bankrupt in a federal system and you have to do so. Finally, does it even make sense to promote the potentially best solution which is by itself a prisoner’s dilemma to implement? Good discussion presented by the Churchill Club. Below a cool video from DB research on mobile payments. There you go..3d printing is a great story at the moment. In line with Schiller’s recent Noble stories drive markets. Or as Soros said there is no better investment than an emerging bubble (in the case you can limit your downside somehow and I personally prefer value but sometimes I have to do momentum). A good way to profit from emerging technologies without hours of research and extremely high risks (still high risks) are specific ETFs or indices. Here a 3d printing index certificate offered by UBS: http://keyinvest-de.ubs.com/Produktdetails/DE000UBS13D0. I bought it roughly 2 months ago and made over 30% return so far. Therefore, it should be obvious why this article exists. Still success in the long run depends on limited downside mechanisms for such a strategy (just look at our Tesla exit below). The slide speaks for itself. 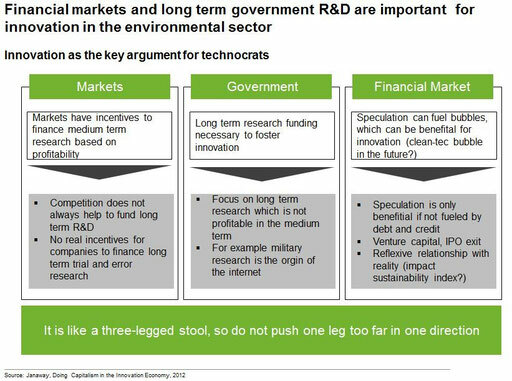 This "three-legged stool" message and the reflexive relationship of bubbles on innovation is the core take away from Janaway and his book. “To me the greatest charm of the multifractal models is the economy. One simple set of rules can produce a great variety of behaviour, depending on the circumstances. By contrast, most financial academics are going through a love affair with another way of modelling market volatility. Its main inventor, Robert F. Engle shared a Nobel in 2003 for its development. It starts from the same facts I have been advancing in this book: Volatility clusters, due to dependence. To model that, it as already been mentioned that a set of statistical tools were developed; it is called GARCH, short for a model the cluster its starts with conventional Brownian model price variation. When the volatility jumps, it plugs in new parameters to make the bell curve grow; when the volatility falls; it plugs in new parameters to shrink the curve. You might say the bell curve vibrates, to fit the circumstances. GARCH is, certainly, a handy abacus now used by many option traders and financial directors to model risk. But it begs the question of what makes the bell curve vibrate. And as you try to work with the model, it becomes increasingly complicated. To say much with little: Such is the goal of good science. But most financial models say little with much. They input endless data, require many parameters, take long calculations. When the fail they are “fixed”. They are amended, qualified, particularized and complicated. Bit by bid, from a bad seed a big but sickly tree is build, with glue nails, screws, and scaffolding. That people lose money on these models should come as no great surprise. 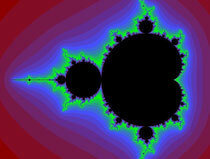 The multifractal model, by contrast, begins with the unchanging, mathematicians would call them. Its economical and flexible and mimics the real thing […] My hope is that, someday, the small seed of multifractal analysis can grow into a fruitful new way of managing the world’s money and economy.” Despite the message of power laws one of Mandelbrot main points is the importance of time. If one read carefully he is still critical towards the practical applications and a main argument is to invest more into fundamental research on markets. Fractal theory needs more researchers working on it. -Volatility comes in cluster and can be mild, normal and wild. Standard models only account for the normal periods (stationary issue). -Fractal models can be scaled and do not depend on finite higher moments. -Contrary most money can be made in wild periods, timing matters prices cluster. “One night of February 1, 1953, a very bad storm lashed the Dutch coast. It broke the famous see dikes, the country’s ancient and proud bulwark against disaster. More than 1,800 died. Dutch hydrologists found the flooding had pushed the benchmark water-level indicators, in Amsterdam to 3.85 over the average seemingly impossible. The dikes has had been thought to be safe enough from such a calamity; the conventional odds of so high a flood were thought to have been less than one in ten thousand. And yet, further research showed, an even greater inundation of four meters had been recorded only a few centuries earlier, in 1570. Naturally the pragmatic Dutch did not waste time arguing about the math. The cleaned up the damage and rebuild the dikes higher and stronger. Such pragmatism is needed in financial theory. It is the Hippocratic Oath to “do no harm”. In finance, I believe the conventional models and their recent “fixes” violate that oath. They are not merely wrong; they are dangerously wrong. They are like a shipbuilder who assumes that gales are rare and hurricanes myth; so he builds his vessel for speed, capacity and comfort- giving little thought to stability and strength. To launch such ship across the ocean in typhoon season is to do serious harm. Like the weather markets are turbulent. We must learn to recognize that, and better cope." Why behavioural studies matter for new “smart” energy demand startups! -Families and habits play a key role in society. -Huge potential lies in the way “toxic” emissions have to be published. Results: A range of policy tools is required, next to “pricing” energy and emissions. Frequent simple feedback and control is important (smart meter roll out, 80% by 2020 in the EU can play a key role here). Nudging can be used to overcome biases and can be combined with monetary incentives (as outlined by Stern et al 2009), but it is important that policies aim for long term behavioural change. My own view is that despite the important insights above, the right way is "top down". We have to change the “vision and goal” of the system as first step. This would mean to internalize the environment and social costs into our measurement of economic success. The Chinese government has already announced that the environment will be its key priority over the next 5 years and it will obviously have strong reflexive influence on the shape of the world. It is time to redefine “economic success”. 1) It isn’t easy for me to be confident that my opinions are right. In the markets you can do a huge amount of work and still be wrong. 2) Bad opinions can be very costly. Most people come up with opinions and there is no cost to them. Not so in the markets. No matter how hard I work I cannot be really sure. 3) The consensus is often wrong, so I have to be an independent thinking. To make any money you have to be right when they are wrong. 1) I worked for what I wanted, not for what others wanted me to do. For that reason, I never had to do anything. All the work I ever did was just what I needed to do to get what I wanted. 2) I came up with the best independent opinions I could muster to get what I wanted. 3) I stress-tested my opinions by having the smartest people I could find to challenge them so I could find out where I was wrong. I never cared much about others’ conclusion- only for the reasoning that led to these conclusions. That reasoning had to make sense to me. Through this process I improved my chances of being right, and I learned a lot of great people. 4) I remained wary about being overconfident, and figured out how to effectively deal with my not knowing. I dealt with my not knowing by either continuing to gather information until I reached the point that I could be confident or by eliminating my exposure to the risk of not knowing. 5) I wrestled with my realities, reflecting on the consequences of my decisions, and learned and improved from this process. Finally, a point which is missing and not easy to get as first glance is the influence of collateral on the amount of debt and on asset prices. Collateral allows optimistic agents to leverage even further and therefore optimists have a higher impact on prices, especially house prices (see Geanakoplos papers on the leverage cycle, or my own paper on “should the FED regulate the leverage cycle”). This graph only represents the limited perspective of the author and further underlying causes in the complex financial world could be missing. We must learn to be aware of our own fallibility. The progress of knowledge is framed not just by what we know, but also by gaining a better understanding of what we cannot know. This could be also a direction for the future. Nassim Taleb argues that we need a system becoming stronger and not weaker from random shocks. A way into this direction might come from Katharina Pistor arguing for the implementation of more natural firewalls coming out of the system (including ideas from the Glass-Stegall act, Volcker rule). This process is still in development but might be more stable over the long run than a central regulation. Still beside the Rogoff and Reinhart analysis a further lesson is that government regulation with clear long term targets is difficult to implement. Additionally it is important to avoid reflexive influence of the financial markets on its own regulation, while still pursuing more global coordination among regulators. Regulation of the OTC market particularly new derivatives is an issue for further research, while currently the regulation of OTC markets is already in progress and could be combined with the purpose of creating ceilingsfor leverage. Finally the importance of behavioural aspects should not be underestimated and a simple solution here is that decision makers need more skin in the game. You will find the full article below. This paper will focus on the main causes of the financial crisis. Interesting pitch presenting Tado a cloud based intelligent thermostat working with regional weather forecasts and various other functions. An unconventional hedge fund strategy is to evaluate the look of CEOs based on conventional success related superficial attributes. The CEO which fits into the attitudes we subconsciously relate to success such as; tall, leadership and dynamic looking person, might not be as good as somebody, who we subconsciously relate to more unsuccessfully looking persons (such as a small woman). Therefore, invest into the companies with the “unsuccessful” looking CEOs. This might sound unsophisticated and stupid at first glance (and is in fact more a fun article), but our first impression is a strong initial anchor for our evaluation of a person. The strategy might be even more relevant in politics and is clearly a point for Merkel. Finally, even if we are aware of our values we might act subconsciously different (see book “the winner effect”). “So in 1975, after a quick two year stint on Wall Street after school, I started Bridgewater. Soon after, I got married and began my family. Nassim Taleb published a lecture series on fat tails (volume 1) and (Anti)fragility (volume 2). I believe his core message to design systems, which can deal with randomness rather than trying to predict extrem events with complex models is crucial (especially for academics and policy makers). A cool example for such systems benefiting from random contributions in a positive way could be crowd based business models. In terms of investing its very clear design strategies, benefiting from randomness rather than trying to forecast anything. You only have to know that a lot of people think they are smart and know the future, but they will get it wrong. Simply betting on the fact that a lot of people will get it wrong with limited downside is enough to become rich over time. It requires a long term horizon and investing into uncertainty, which is against basic human psychology…If you are interested in specific strategies let me know. Interesting article from Cameron Hepburn (Oxford). Still not sure if he is right, but it is worth reading. Inspiring man. One insight related to the topic "cleantec" is that the solution to our most important problem can be found in the energy market, particularly solar energy. Jim Rogers has skin in the game and is putting his own money where his mouth is, so it might be worth listening to him (see my previous article on Europe). The end of 2014 is still not there. On the other hand his former partner Soros argues that the real world is shaped by the interest of powerful people and (wrong) believes of them and investors can have a signifcant impact. Besides the interview inlcudes good investment ideas for the next years. Taleb and Tetlock (2013) argue in their paper “On the difference between Binary Prediction and True Exposure” http://papers.ssrn.com/sol3/papers.cfm?abstract_id=2284964, that we have to be aware of the difference between “binary” (only two possible outcomes) and “vanilla” (multiple outcomes) scenarios. Vanilla exposures are sensitive to Black Swan effects, model errors and prediction problems, while binary are more immune to them. Indeed we might see fewer fat tails events, but their impact will get stronger. This is also an issue for climate change models and we have to be aware of our limited perspective if we argue the effects of climate change such as the discussion around the Stern Review (http://en.wikipedia.org/wiki/Stern_Review). Warren Buffet touches on taxes one of the key drives of inequality. Hedged Momentum Strategies Outperform !!! Kent Daniel holds a really interesting talk on momentum and how to improve a momentum strategy by hedging it during crisis. He also mentiones the in my own view ground-breaking paper from Asness, Moskowitz, and Pedersen (2013) Value and Momentum Everywhere. This 60min interview gives you the core ideas of his book. Worth watching.